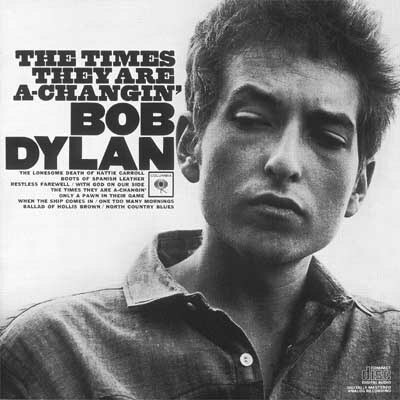 I got into Bob Dylan in the mid-60’s which seems fortuitous as he was writing what I consider his best stuff then. It’s hard to believe this stripling of a kid could pen Blowin’ in the Wind and The Times They Are A-Changin’ while still in his 20’s. For some reason on a recent bike ride some of his words popped into my head and decided not to leave. As I pedaled along the lakefront He not busy being born is busy dying ran through my mind, over and over. The lyrics are from the 1965 hit It’s Alright, Ma, I’m Only Bleeding. President Jimmy Carter liked that “Being born…” line so much he used it in his Inauguration speech. Global warming guru Al Gore said it was his most favorite quotation. As the words rolled through my brain it hit me that those words exactly capture what weight loss and weight maintenance are all about. He not busy being born is busy dying. No matter what your weight is right this second, if you aren’t doing something actively about it, two things are true. One, you aren’t going to lose any pounds. Two, you are probably going to gain more. That is only half an exaggeration when it comes to weight as we get older. As those of us over 50 know, the problems expand and multiply with age. It’s not just a big waistline any more. Now, it is a big waistline, high blood pressure, elevated cholesterol, the beat goes on. So, whatever your age, you need to decide daily what you are going to do about your weight and health. You can pay attention to what you eat and get a handle on it, or you can play ostrich and pencil in some really unpleasant doctor visits in your not too distant future. The pounds aren’t going to lose themselves. On the contrary they are more likely to multiply. It’s not about losing weight (a negative); it’s about being healthy (totally positive). The answer to your weight loss situation is up to you. So stop acting like a rolling stone, the answer ain’t blowin’ in the wind. So well put . This will help to put in practice . For the pounds they are a elevating. Thanks for sharing, Howard. Happy you could pick up what was blowin’ in the wind. Good luck! I’m going to let you know how I’m doing. I hear my thoughts in your words. Sounds like a deal. Keep in touch.